I’ve generally been quite lucky in that most of the gear I’ve used over the years has been good enough not to let me down. I was, however, disappointed by two recent purchases that I won’t be repeating. The first is the rather lovely Spork by Light-my-fire. I took two of these with me on my GR20 hike, one for me and I thought a spare might get used by one of the other guys in our group. It was light enough that I didn’t worry about the few extra grams. As it happens I needed not one but two, and even that wasn’t enough. 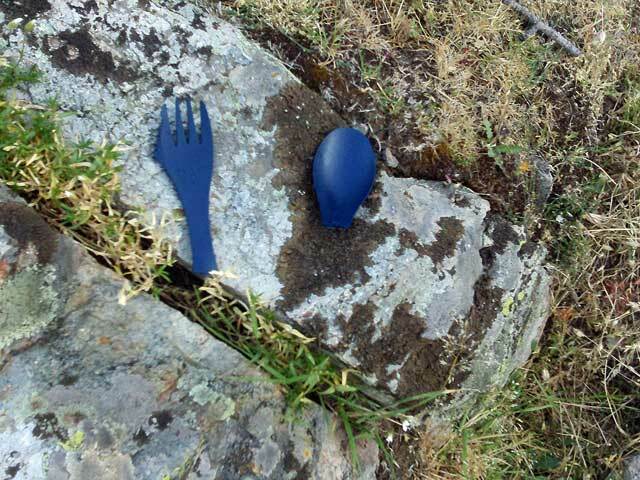 Both of my Sporks broke in my pack a day apart. I thought I was unlucky since both had been placed in a side pocked and must have been bashed or squashed. Then it turned out that a friend also broke his plastic spork. My replacement is still by the same company and is their slightly pricier Titanium Spork – It weighs almost nothing, looks nicely made and should hopefully last better than the plastic ones. 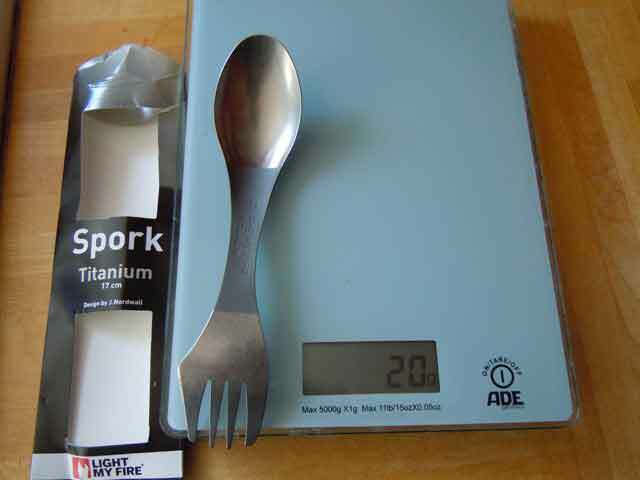 At just 20grams the Titanium spork won’t weigh me down. The second bit of kit that I won’t be buying again is my old and trusted Karrimor KSB boots. The first pair of these that I had lasted for ever and took me on snow to almost 6000 meters in height before I switched to clunky plastic boots. My new pair got me through the GR20 (admittedly tough going, especially over the Cirque de la Solitude) but the waterproof lining has conked out. The boots give me wet socks just walking through grass with a bit of dew. I can’t really complain because these boots cost me only about 50 quid on Amazon, but still. I think from now on I will either go super light-weight with something like an Inov8 approach shoe or get decent leather boots made with few seams. I’m thinking of the Scarpa Terra GTX, which are very light but still have the advantage of being made from a naturally waterproof material so they should do better, even when the waterproof lining has given up. My only worry about these is that they are not supposed to be very robust. If you’ve tried these boots or have any other ideas please let me know what you think.